Beverly J. (Karr) Dreessen was born on May 28, 1942, on the farm north of Traer, the daughter of Cleone and Thelma (Cone) Karr. Beverly lived in Traer with her mother before she met the love of her life Delmar. On January 18, 1988, Beverly was united in marriage to Delmar “Frog” Dreessen at the world-famous Chapel of Bells in Las Vegas. She and Delmar lived on a farm South of Traer. Beverly work at Sunrise Hill Care Center for 26 years as a CNA and an activity director. During her time at the nursing home, she also worked for six years at Rubes Restaurant in Montour as a waitress. 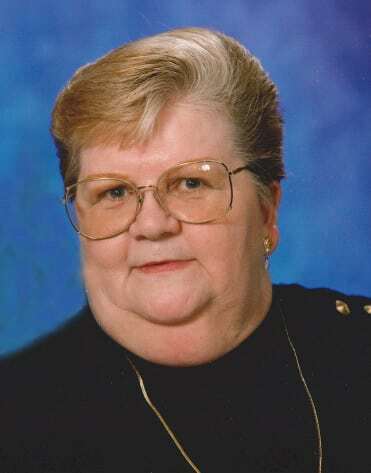 Beverly enjoyed taking camping trips every weekend with family and friends, sitting out by the campfire, watching old TV programs, and making homemade cards for people. She enjoyed the trips that she took to Michigan and Indianapolis to watch NASCAR races and before her health got bad, the trip to New Zealand and Australia with her husband. In their later years, the couple decided to move to a farm North of Chelsea where Beverly enjoyed sitting in her power wheelchair by the fire. Beverly J. (Karr) Dreessen died on Tuesday, October 2, 2018 at the age of 76 at Sunnyhill Care Center in Tama. She was preceded in death by her parents; four brothers: Duane Karr, Robert Karr, Gaylord Karr, and Paul Karr; and one sister: Bernadine Liverman. Beverly is survived by her husband; one son: Ronald “Skip” Randell Jr. of Grundy Center; one daughter: Holly Rotzinger of North Liberty; two brothers: Marvin (Delores) Karr of Rudd and Roger (Joyce) Karr of Denver; one sister: Phyllis Thoren of Cedar Rapids; Two sister in laws: Joyce Wilson of Traer and Norma Karr of Cedar Rapids; nine grandchildren, 11 great grandchildren; and one very good friend, Nancy Dvorak.